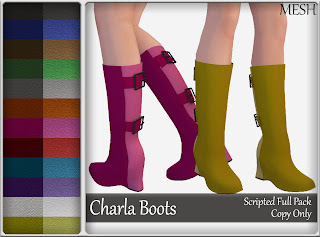 *Dilly Dolls*: Guess what...more boots, that's what! Yeah, I have been MIA as far as sl is concerned lately, but the little bit of time that I have been able to pop in and release stuff, its been...boots. Guess you can say that I am lacking in the creativity department, as far as second life. I have been spending most of my time working on a novel that I hope to finish and publish soon, but we will see how that goes. Anyways...BOOTS! Both pallets are in 12 2-tone texture options per pack. 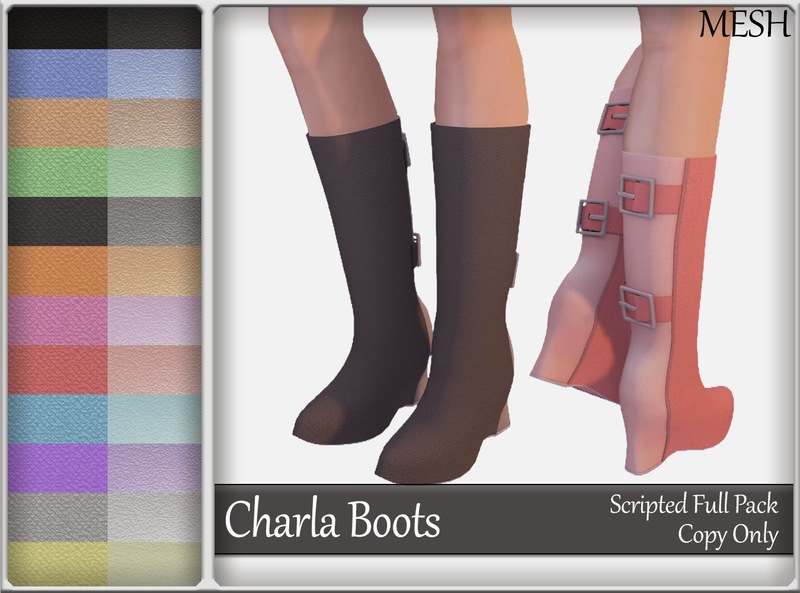 These boots are rigged for standard sizing, and is 100% original mesh! Pop in and check out a demo!